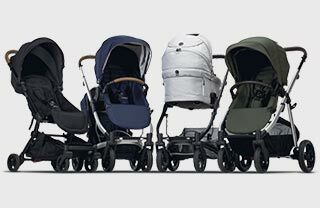 The METRO² Carbon is a Limited Edition pram that features all of the signature METRO² features, designed in a unique monochrome palette, with a refined geometric pattern. Exclusive Carbon accessories, including an embroidered Pram Organiser and combination Seat Liner / Foot Cover, valued at $150, are included as a gift with every METRO² Carbon. The Limited Edition METRO² Carbon is available while stocks last. How do I attach my AirFlow Kit?